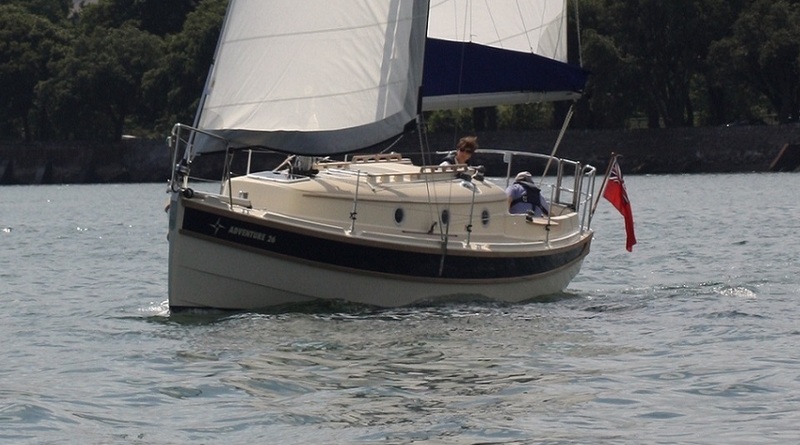 If 6’2″ standing headroom is required and longer term adventures are your goal then the Adventure 26 is the ideal boat. 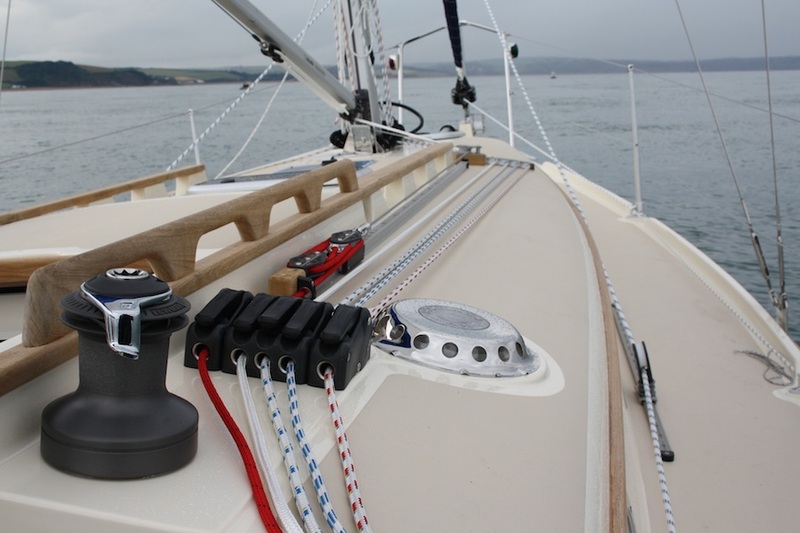 A very simple to handle Bermudan rig allows quick passage making and low maintenance / down time. A separate forward cabin with a 2.2metre double berth gives sleeping accommodation that is uninterrupted by the adventure going on outside. The heads compartment has standing head room and a sit down shower making the Adventure 26 comfortable for a family sleeping aboard. The light and modern interior is a really pleasant place to spend time, you’ll find yourself never wanting the adventure to end! 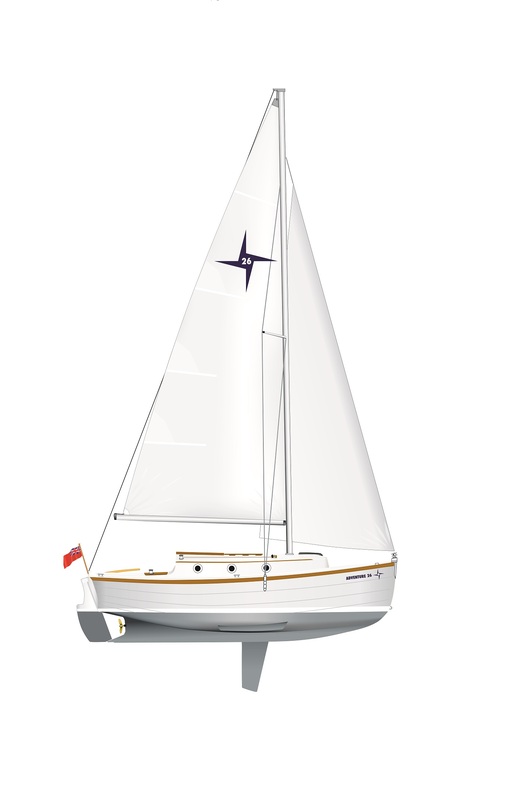 Her sturdy design provides great stability while retaining shallow draught sailing and the ability to dry out. Performance is retained by the high aspect centreplate for improved manoeuvrability. Internal lead ballast means the stability is not compromised when the centreplate is raised meaning you can extend your adventure to places you would otherwise never see. Ballast is encapsulated lead castings around a galvanised lifting centre plate controlled from the cockpit. 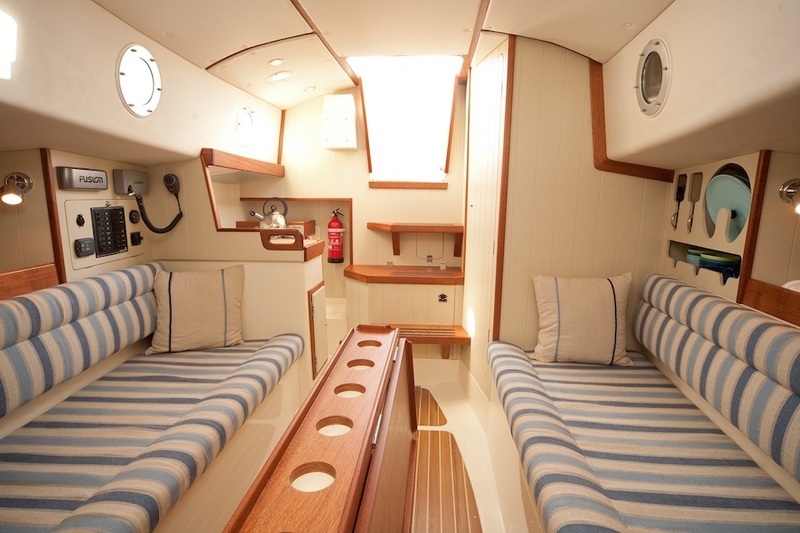 Yanmar 3YM20 inboard diesel engine with 40ltr tank and associated engineering and stern gear. 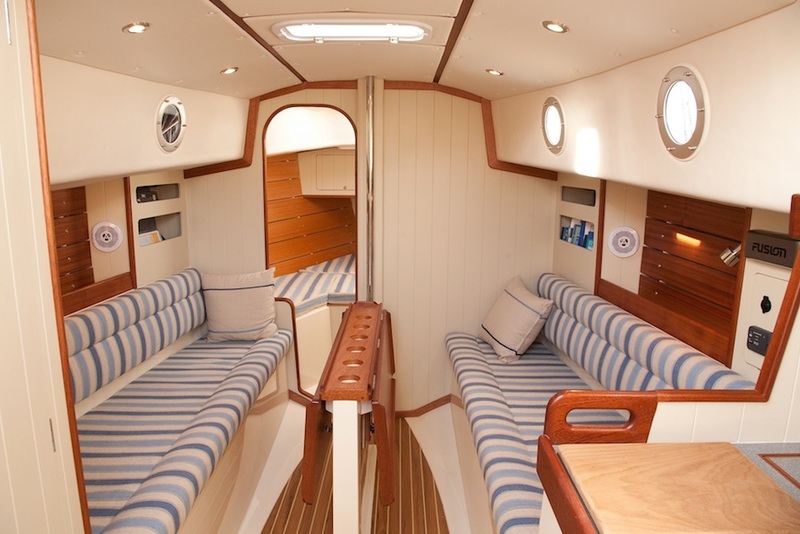 Galley complete with double burner and grill, insulated cool box ( fridge unit optional ), electric water pump and stainless steel sink . 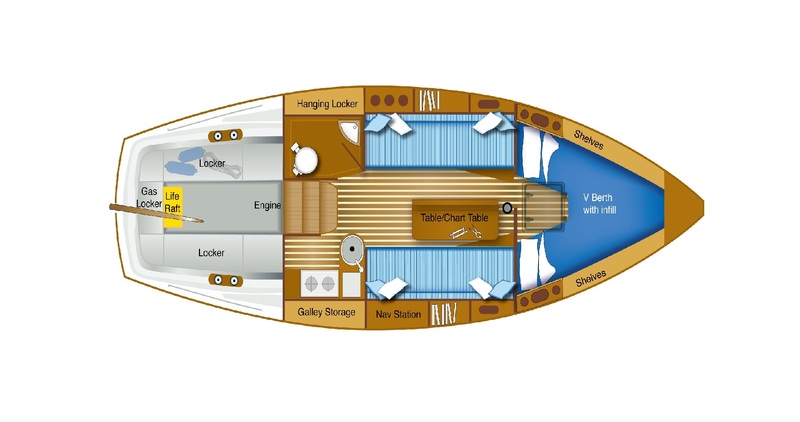 Round ports into cabin space. Sliding GRP hatch garage with varnished wooden wash boards. Opening forward and mid hatches. Covered anchor / chain locker. 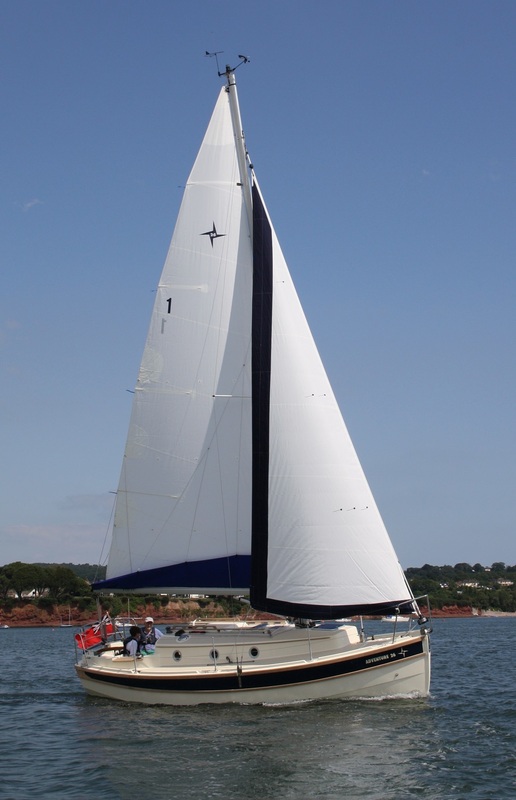 The main mast and spars are from Selden. 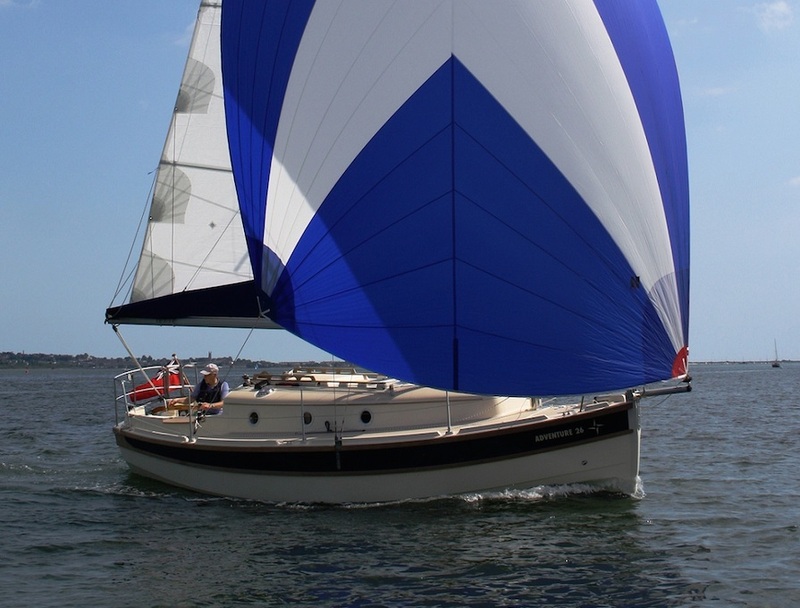 Sails are available in white or cream and include Mainsail & Jib on a Furlex reefing spar.